Typical home bar projects start out with a few friends and a few rounds of cocktails. A wrinkled napkin becomes the palette for a rough draft but missing a few small but essential details. On a home bar, there can be surprisingly many. The end result is more of a “cockeyed” bar than a cocktail bar. 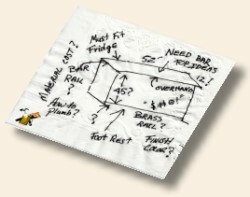 What can you expect from a cocktail napkin plan? Don’t reinvent the wheel. Save time by consulting our time tested collection of bar designs. Our plans are your guide to getting it done right the first time. 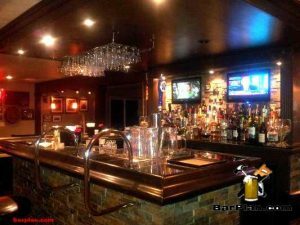 Years of experience and bar knowledge are packed into our site. Sure, blurry eyed designs will work and a bar build is hard to screw up, but if you tried and failed or your design was simply cleaned up by the waitress, we have you covered. Our designs use the perfect dimensions for a comfortable cocktail bar. Our design approach saves the cocktails and napkins for the end of the construction process. We provide plans in a variety of configurations for any budget. No guesswork, just head to the store with your shopping list. 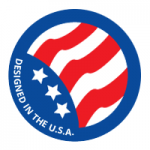 Our basic project designs are perfect for simple beer bars and frat house style pubs. Our more advanced wet bar designs are best suited for use as a cocktail bar, but of course you can serve beer too! It’s your choice. The bar shown at right is a recent posting to the members builder’s gallery. It’s amazing where a 20 dollar set of plans will get you in planning your cocktail bar project. 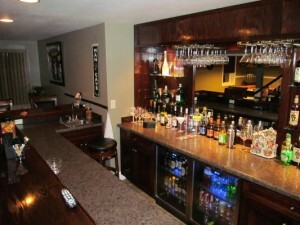 EHBP-03 – straight wet bar with cocktail prep area. EHBP-04 – L-shaped wet bar with cocktail preparation workspace. EHBP-09 – 45 degree wet bar, and yes, it also has a cocktail prep workspace. Check out the Photos, Bar Tour and Video sections of the site for more cocktail bar design ideas. 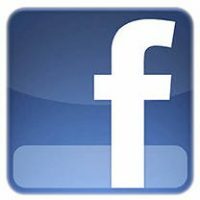 For full plans join the site today.